Welcome to TaxidermyByShepBrown.com, I'm Shep Brown and I thank you for visiting my website. We have completely revamped the site, so please stop back frequently, as our information is always being updated. If you are a new customer, then I welcome you to browse the Photo Gallery as well as the other sections of my website to get to view some of my work. If you are a returning customer, then welcome back and you might see your mount on the site. 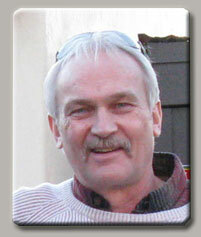 To all visitors, feel free to email me your photo of your hunt to me so that I can post it on my site. My over 41 years of experience has taught me to eliminate suprises. I am taking pictures of the manniquin before it is mounted, so that I can get the correct focal point and any alterations to it that you may see before it is mounted. If you ever have any questions about your mount or its progress, call or email anytime. Wondering if I'm the right taxidermist for your trophy? I've been a taxidermist for over 41 years. I started out by mounting pieces for family and friends and my love for the art grew to where I am today. I have been a member of the Iowa Taxidermy Association for over 35 years. During that time, I have been the President (4 Years), Vice President and Show Chairman (6 Years), and the Past President for 2 Years. Research Mannikins has been a big part of my life as I have done sculpture work for them for many years. I have helped develop AccuEars, Alligator and Lizard forms, eyes, mouth inserts and various other aids in taxidermy. I have also helped pioneer the snake and alligator forms and eyes that most taxidermists use today when mounting those species. Looking to purchase items I created for Research Mannikins? I do wholesale reptile taxidermy to help out other taxidermists, so if you are a taxidermist and are looking for wholesale reptile taxidermy, feel free to contact me! Won the 2016 Master of the Masters Joe Meder Award for a rattlesnake mount in the reptile category. 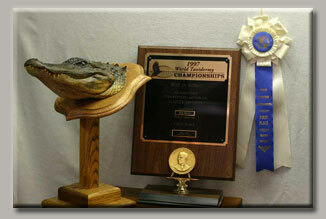 Won Three Separate McKenzie Taxidermy Supply's Distinguished Service Award in 1996, 2007, and 2010.